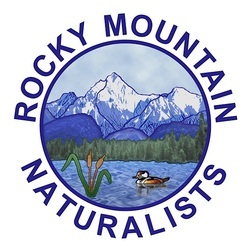 The Rocky Mountain Naturalists is based in the southeastern area of British Columbia (Cranbrook, Kimberley, Fernie). We are under the umbrella of BC Nature, which represents over 52 nature clubs throughout British Columbia. Business meetings are held every second month (odd-numbered months). We have numerous field trips (see our RMN Calendar link) where we explore, enjoy and share our love and knowledge of our natural environment. One of our main projects is contributing to the stewardship of Elizabeth Lake in Cranbrook through trail upgrades, signage, and painted turtle monitoring. We conduct numerous bird surveys, the Christmas Bird Counts in Cranbrook and Kimberley (Bird Studies Canada/Audubon), and friendly bird competitions such as Little Big Day. We also sponsor annual scholarship(s) through College of the Rockies, in memorium. We foster an awareness, appreciation and understanding of our natural environment, that it may be wisely used and maintained for future generations. - there is a $2.00 fee per field trip for insurance purposes. - dogs are welcome on privately-hosted walks but not on nature study field trips as they may disrupt birds and wild animals and distract participants viewing them. Contact us to connect you with dog-friendly field trips leaders. Please tell me more about the RMN and the work you do. . . .